Don and Heidi Bucolo of EatSleepCruise.com share some of their favorite things to do when Spending the Day in Boston, MA. When we are not sailing the Caribbean or venturing way up north to Alaska via a cruise ship, our “home port” is Boston, Massachusetts. One of the oldest cities in the United States, Boston is home to some “wicked” historic attractions, amazing food, and people simply known as Bostonians. With a language all our own, those who live in Boston take great pride in the legacy and culture of this New England metropolis. 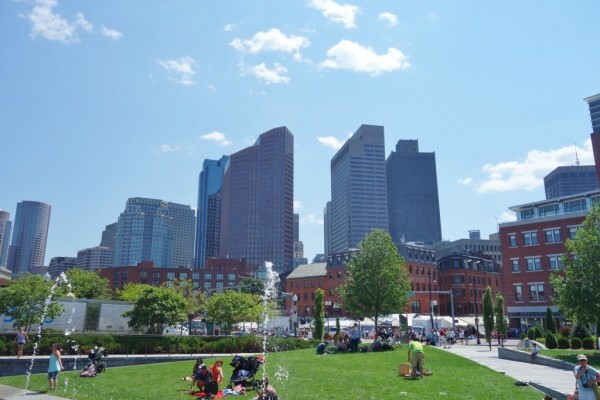 While one day in Boston is not nearly enough time to take in the entire city, we have put together this itinerary for making the most of your visit to the city. So it is time to drop your R’s, grab your Sam Adams, and explore our backyard. One if by land, two if by sea was the directive Paul Revere gave upon the impeding British invasion of the city. 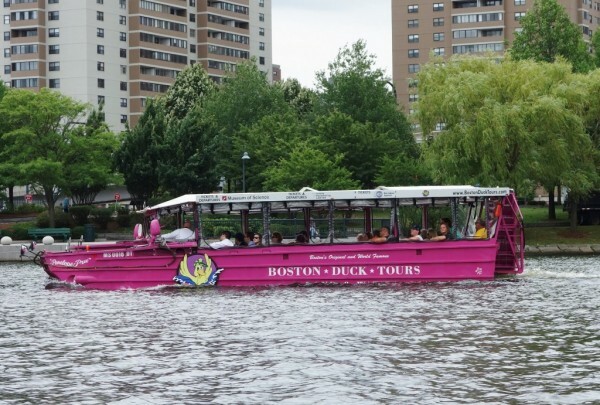 Luckily, when you visit Boston, you do not need to choose your mode of transportation-in fact, you can travel by both land and sea with a Boston Duck Tour. There is no better way to explore Boston than one of these narrative tours that includes time on the city streets and a leisurely cruise down the Charles River in a World War II style amphibious vehicle. These 80 minute tours are not only informative but often quite funny, as each driver has a character and style all his own, meaning no tour is ever the same. Founded in the mid-17th century, the port of Boston played a crucial role in the founding of the United States. Much of that history is still alive in the city today, and you can relive the days leading up to the American Revolutionary War by tracing the footsteps of the past on the Boston Freedom Trail. This 2.5 mile stretch can easily be completed in a few hours, or if time permits, you could easily spend all day exploring the 16 sites of historic importance. During the tour, you can visit the site of Boston Massacre, take command of the oldest commissioned U.S. warship- the U.S.S Constitution, and tour the home of Paul Revere. Most sites are free to enter (donations are accepted), though some museums on the trail do require an admission ticket. Either way, the Boston Freedom Trail is a fun activity for travelers of all ages. Boston is not only home to great historical figures, but it is also the city of champions. No day in Boston would be complete without a stop at Fenway Park, home of the Boston Red Sox. America’s “most beloved ballpark”, the stadium has not changed much since its opening in 1912. 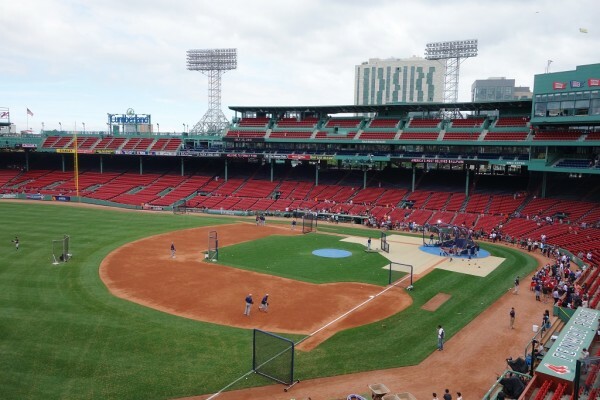 Officially the oldest baseball park in the country, even those who are not baseball fans will enjoy the nostalgia and feeling of yesteryear that emanates from the park and Fenway neighborhood. If you visit between April and September, you can catch the boys of summer in action; although, tickets will cost you a pretty penny as almost every game is sold out. If you are not lucky enough to be in town during a home game, tours of the ball park are offered year round where you can go behind the scenes and see the stadium up close. with authentic markets selling imported Italian goods, cafes and bars, delicious restaurants, and plenty of character. Over 100 restaurants are located in the surrounding blocks, so you will have plenty of choices-we recommend a great family place, located on a side street, called Lo Contes. Once you are done with dinner, head to Mike’s Pastry for a cannoli and some coffee. Don’t be surprised if you have to wait in a rather long line to order your dessert at this well-known establishment. While squeezing in these must-see Boston landmarks makes for one busy day, it only scratches the surface of what the city offers. 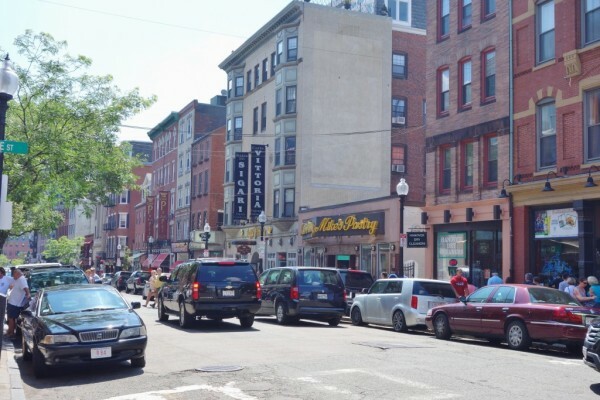 After exploring Boston, you will certainly have the urge to return. So, go ahead and plan another visit to this historic city. We can certainly recommend a whole new agenda for you to dive deeper into our hometown favorites! Don and Heidi Bucolo are the husband and wife team behind EatSleepCruise.com. While traveling the world via cruise ship, the couple blogs about all things related to cruising. Committed to sharing their travel knowledge with the world, they offer cruise reviews, travel planning advice, and shore excursion reviews, to help fellow travelers “Sea the World, One Port at a Time”. This article is part of our Blogger’s Hometown Favorites feature, where Guest Bloggers share their local hometown travel tips and favorite local attractions. If you’d like to share your hometown travel tips and favorite activities in a guest blog post, please email: Allison (at) FunFamily (dot) Vacations.